Like everyone else, I am grateful to friends and family for a wonderful meal and the hugs we all shared during Thanksgiving. But, let me add to that – thank God for art! During this holiday season, a multitude of wonderful exhibitions fill our museums and galleries. 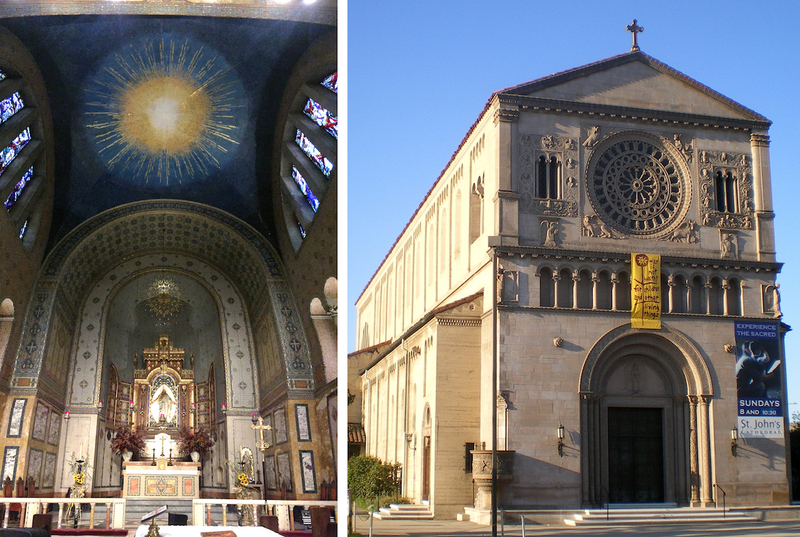 In addition to that, greater Los Angeles is a treasure-trove of hundreds of houses of worship that I cherish for their inspiring architecture and works of art. 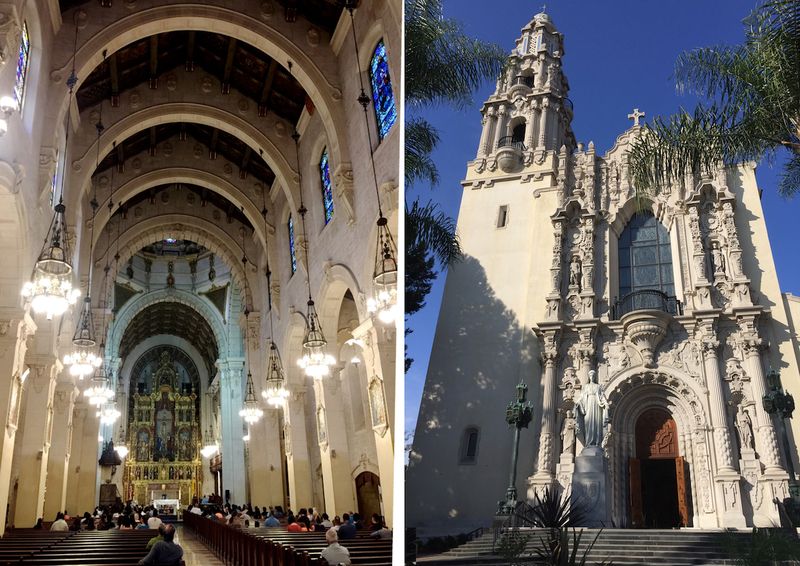 For years, I've been wondering about two amazing churches at the intersection of Adams Boulevard and Figueroa Street in Downtown LA. This Thanksgiving, at last, I drove to this intersection, parked my car, and spent a couple hours marveling at these houses of worship. First, let's talk about Saint Vincent de Paul church. It is rightfully considered to be one of the most outstanding examples of Spanish Colonial Revival structures in California. And, the splendor of its design in no small measure is due to a lavish budget, thanks to the deep pockets of oil magnate Edward Doheny, who resided in a building behind the church. The other impressive structure, at the same intersection, is St. John's Cathedral, whose serene architecture is inspired by thousand-year-old Romanesque churches of Italy. Its soaring interiors are lavishly decorated with mosaics like no other house of worship I have seen in LA. 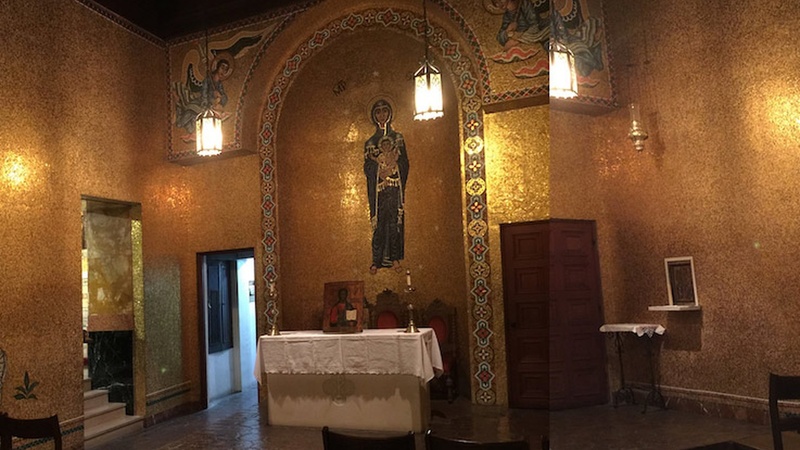 When I stepped into the side chapel next to the altar, I was struck by shining gold light emanating from the rich mosaics decorating every inch of the walls. I could swear I was inside an ancient Byzantine church. So, my friends, if you haven't been there yet, it's simply a must. And, here is another temple, roughly in the same neighborhood – a temple of art. 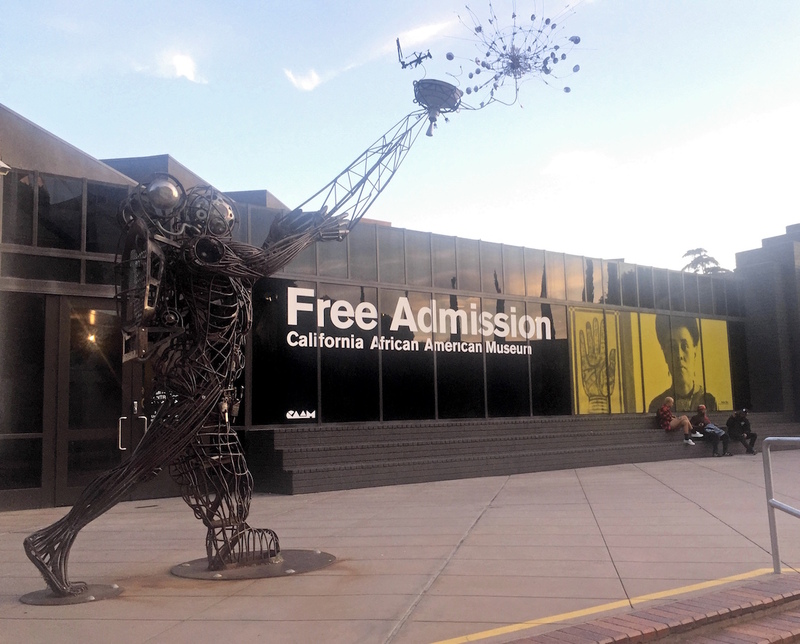 Let's visit the California African American Museum in Exposition Park. In the sprawling museum lobby, there is a dramatic mural painting by Gary Simmons, in his signature erasure style: white chalk text against a blackboard surface, the words smudged and slightly erased. 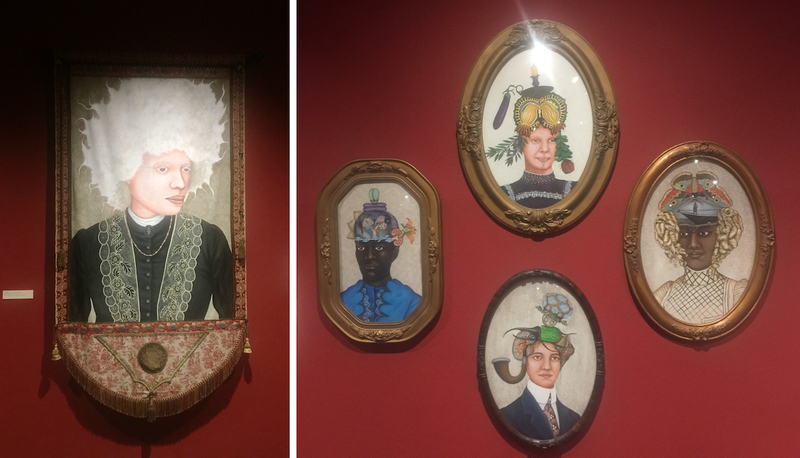 The installation is titled Fade to Black, Simmons' homage to under recognized and partially forgotten African American actors, and their movies – faded but important parts of Hollywood history. 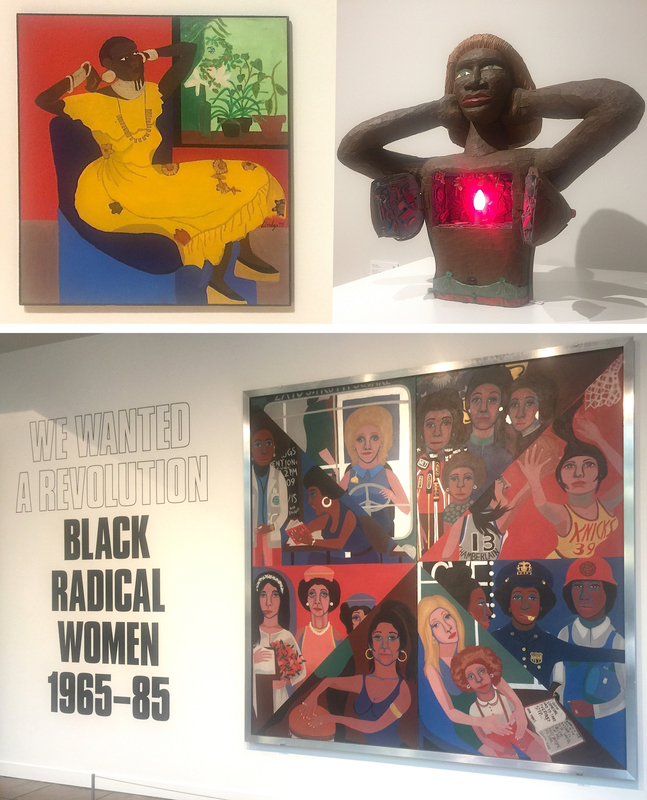 The major exhibition at CAAM is focused on the work of African American women artists, with a punchy title: We Wanted a Revolution: Black Radical Women 1965-85, the period of radical political movements and profound social changes. 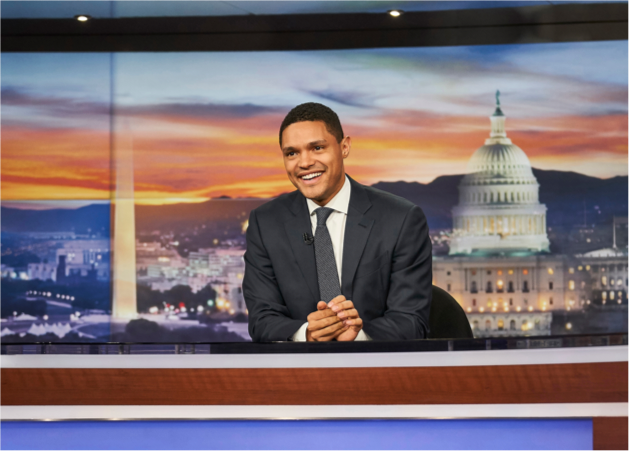 According to the museum press release, it's the first exhibition to highlight the voices and experiences of women of color of this significant historical period. Both images, exhibition view of "Lezley Saar: Salon des Refusés"
Another exhibition at CAAM is a solo show, Lezley Saar: Salon des Refusés, meaning, the Salon of the Rejected, in reference to an exhibition held in Paris in 1863 by artists excluded from the official annual Paris Salon. Saar presents a number of portraits of transgender and gender fluid people, inspired by her 25-year-old transgender son. On the façade of CAAM is a huge welcoming sign: FREE ADMISSION – another thing to be thankful for, especially at a time when a much more prominent cultural institution – LACMA – has just announced it is raising the price of admission to $20 for Los Angeles County residents, and $25 for tourists, which is a pity.